The most widely used form of anaesthesia during dental procedures is a local anaesthetic which dulls the pain in the part of the mouth where the procedure is being done. Langley pediatric Dentists occasionally recommend using sedation for any long, complex procedures or for patients that are young and especially nervous. With a local anaesthetic the patient remains conscious but sedation causes a temporary loss of consciousness. 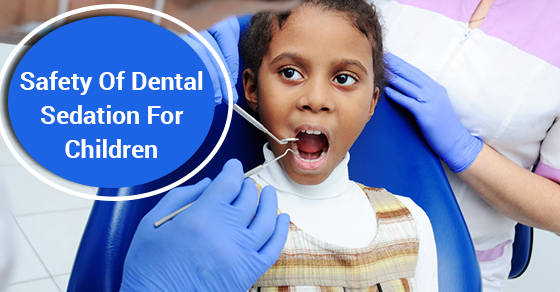 Parents may have concerns about the safety of having their child undergo any sedation their dentist might recommend. Below are the different types of sedation and what to expect before, during and after a procedure using sedation. Dental procedures in the dentist’s office primarily use oral sedation, nitrous oxide or intravenous sedation. Oral sedation is administered by mouth or through the nose and usually takes about 20 minutes to take effect leaving the child calm and relaxed. Nitrous oxide or laughing gas is delivered by mask and is a mixture of nitrous oxide and oxygen, the result is a euphoric feeling. Once the procedure is complete pure oxygen is given to the patient to clear out any remaining nitrous oxide.Intravenous sedation is administered via a needle inserted into the vein usually on the back of the hand. A tube is also inserted into the throat to assist with breathing. Parents will be instructed to help prepare their child for sedation by not allowing any food or drink beforehand. Failing to do so could result in stomach contents being vomited and inhaled into the lungs. Prior to any procedure parents are required to submit the child’s full medical history. While sedated your child’s blood oxygen levels, blood pressure, temperature and heart rate are closely monitored. Patient safety is paramount during dental sedation and parents can rest assured that sedation is safe for their child. Parents will be asked to be present while their child wakes up from sedation as the child may be confused or fussy. Two adult should accompany their child home, one to drive and one to monitor the child’s breathing. Some lingering effects of the sedation might be poor physical coordination, dizziness, sleepiness and nausea so recovering at home is a must and not returning to regular activities. Parents should only give the child soft foods for the first few hours afterwards. If a child experiences vomiting, severe pain or bleeding or fever parents should contact the dentist immediately. At Smiletown Dentistry Langley our kid friendly waiting room is designed to help your child feel at ease, contact our office today to schedule your ext checkup.